Originally comming from Finland, the use of the sauna is now widely known around the world. 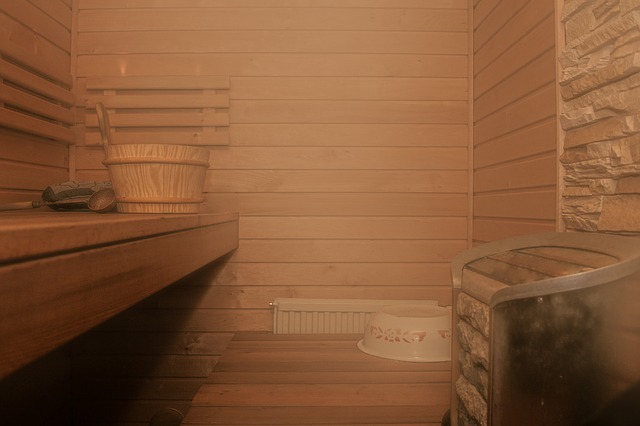 The sauna is beneficial in many ways; to relax the muscles, improve blood circulation, revitalize the skin. And it is also a great way to complete your day and ease mental stress. Whenever you decided to use this to relax and go for a (quick) visit to the sauna, we propose the following steps to fully benefit and making it worth your time. Before going into the sauna, make sure you take a shower and dry yourself. When entering the sauna, decide which bench you want to sit. As the heat goes up, it is much warmer all the way up. So if you are a beginner, take it easy and get yourself on one of the lower bench. If there is enough space, first lay down. If there is not, you can sit with your legs up slightly. Use the first 5 to 10 minutes to go into the pre-sweat phase, adding water with the next 3 to 4 minutes to sweat it all out. Then take the last 1-2 minutes to post-sweat. And we would recommend you to sit the last 2 minutes upright. When you have left the sauna, get yourself into the fresh air if possible. Just sit there for about 2 minutes and then cool down in a cold shower. This will help the circulation to your skin and cooling down the body. Then you come into the last phase that most of us tend to skip. This phase we would say is the most important one; the relaxation phase. It is there to really ease in and get yourself the results you wanted; a relaxed mind and body. Want some more tips on using the sauna straight from the Finish? Stockholm is the capital of Sweden with 800.000 inhabitants. Stockholm is called the Venice of the North with more than 30% waters within the city. Another 30% consists of parks and green which makes Stockholm probably one of the greenest cities in Europe. Stockholm is divided in few neighbourhoods. Few European cities can offer you the wide diversity of cultural experience that you'll find here in Barcelona. Couple that with the luxury of 4.2 km of beach only a short walk from the city centre, warm sunshine most of the year, you have all the makings of a complete holiday in Spain. © 2019 Club Mondain. All Rights Reserved.